Mobile World Congress (MWC 2012) is started and lots new phones are coming out. On the first day of MWC 2012, Nokia stole the show with the Nokia 808 PureView which is having a 41MP camera. Nokia 808 PureView is having the Karl Zeiss lenses which let you take pictures at 7728×5354 pixels in 16:9 format, or 7152×5368 pixels. in 4:3. 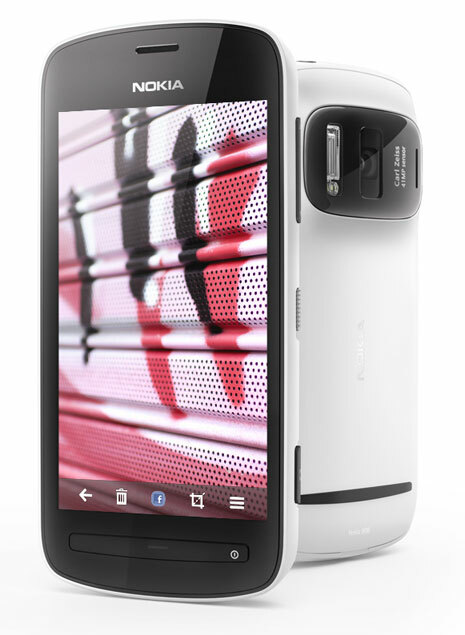 Nokia 808 PureView uses the Over Sampling technology to provide the images at an effective resolution of 5MP. Nokia 808 PureView provides the 3x zoom while shooting videos at 1020p, or up to 6x zoom in the 720p definition. The full features and specs of Nokia 808 PureView are given below.